In new video, women kidnapped by Boko Haram beg federal government to negotiate their release – Royal Times of Nigeria. 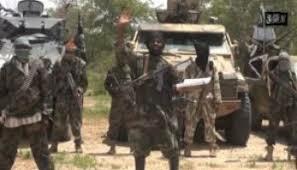 A video said to have been released by Boko Haram terrorists has surfaced, showing some women allegedly abducted by the militants in Borno State. In the video published on Monday by Sahara Reporters, the women were seen sobbing and pleading with the Federal Government to negotiate with the insurgents to secure their release. The women are believed to be among those forcefully taken away after the terrorists attacked a convoy travelling from Maiduguri, the Borno State capital to Damboa in June 2017. Some of those in the convoy, including security personnel were allegedly killed in the ambush. Although the Borno State Police Command confirmed that attack, it refused to state the number of those taken away by the attackers. A few days after the ambush, Boko Haram leader, Abubakar Shekau, release a short video where he claimed that his fighters had seized more than a dozen women and “senior police officers” in the ambush. Mr. Shekau said the abducted women had become his “slaves”. The release of Monday’s video came on the same day elders of Askira Uba Local Government Area of Borno State held a press conference in Maiduguri to urge the federal government to secure the release of 14 abducted women from their community. The abducted women are relatives of a deceased police woman whose corpse was being conveyed for burial when their convoy was attacked. The elders lamented “the disturbing silence of the government” over the fate of the missing women, who are their wives and daughters.